Go to Authors Section > Add new Book. Go to the Product Data panel, and select downloadable (digital). On the right-hand side of the Add New Product panel, there are book categories in which you can place your books. 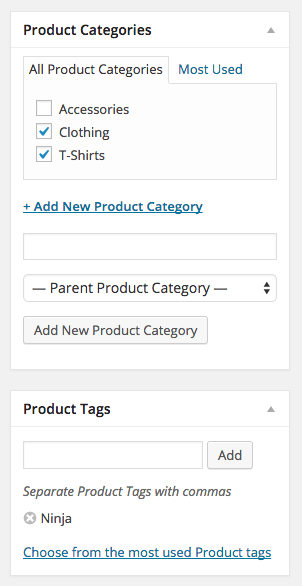 You can also assign product tags in the same way. Add a main product image. This should be your book cover.